Needless to say, by the time I got to the barn last night riding was the furthest thing from my mind. Insurmountable obstacles stood in my way – like having to find the horse turned out in the big field in the dark, and changing clothes. It was damn near impossible, so I just took Simon out to give him some love. The usual dynamic at the barn is this – old ancient omg almost 30 Lauren is surrounded by a group of teen/tween barn rats. Last night was no exception and as one of the girls was complaining about how she was so poor and didn’t have $5 to her name, and I had what can best be described as a stress induced loopy break of sanity. The teens stare at me. I continue brushing Simon’s tail and start to giggle to myself. They started to smirk at me a little. Then they started to laugh, and I did too. I spent about an hour in traffic last night driving to the barn to then feel too tired and blah and brain dead to actually ride. But I brushed Simon, worked on shedding out his winter coat. Put conditioner in his tail and got it slick and free of tangles. Gave him his ulcer paste and then a giant handful of treats to make up for giving him his ulcer paste, and then I hand grazed him for a while and watched the lessons going on. And I would gladly pay all of that and risk the blips of mental instability to chill with my sweet horse, and listen to him contently rip up the blades of grass and chew contently. Ha! Love the last one! 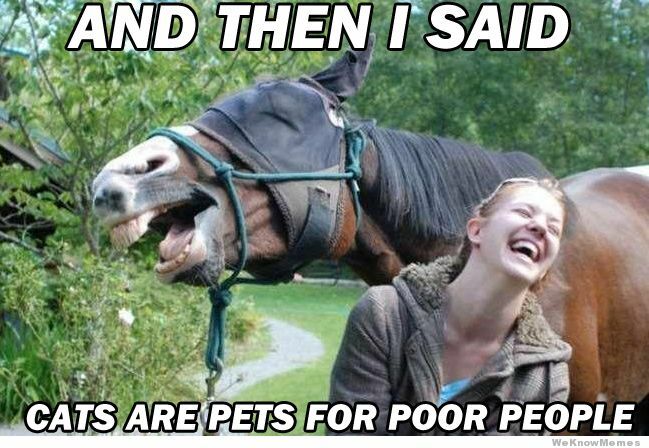 Although with a horse, I feel poor. Sometimes just hanging with my horse is all I need to de-stress from work. I feel poor because of my horse too, but he’s worth every penny. I posted that last picture on facebook once and it go my friend’s knickers in a twist lol. Haha, this picture is so silly but I adore it. I <3 this post… and I need that t-shirt too! Thanks! 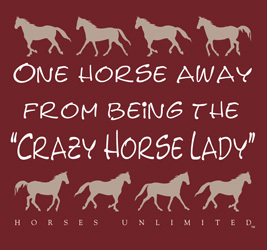 I’ve tried to cut down my horse t-shirts… maybe they should do a bumper sticker. At least they love us, right? It’s so classic. There are several good memes made from it. That IS a funny picture. And I so get you – my life at work has been HORRIBLE lately. I had time to ride both horses today, but after just one, I had nothing left which is unusual for me (I’m a diehard.) I didn’t even have enough gumption to clean my stalls … bleh! 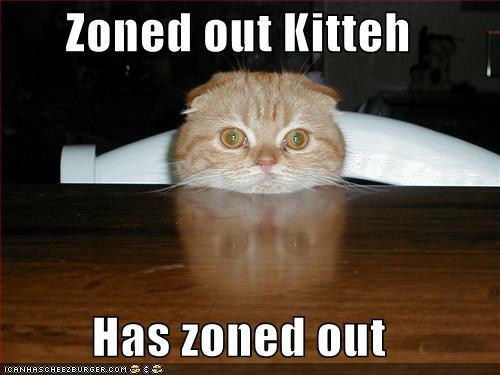 I would be happy if there were 48 hour days… time to work, time to nap, and time to have a life! The last picture is hilarious… except I spend a good $100 a month on cat food, hahaha.